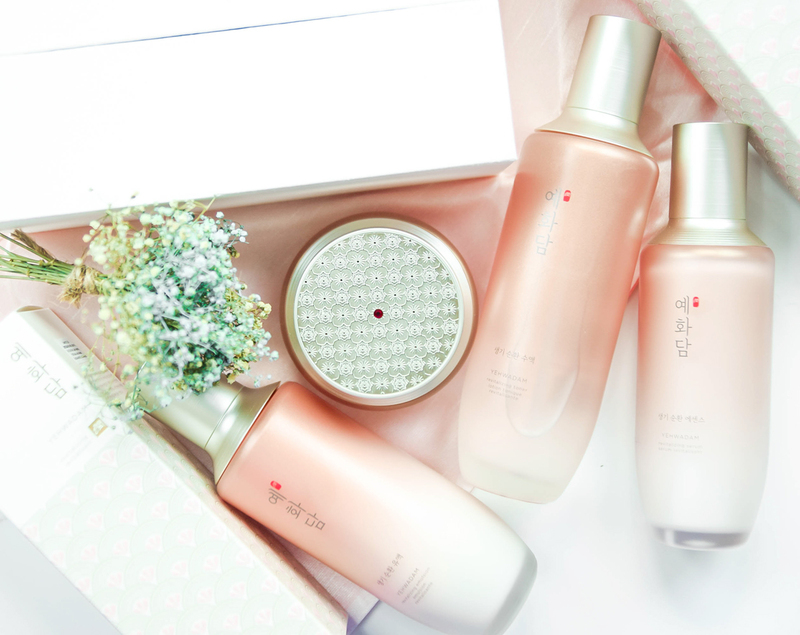 Anti-aging skincare ranges is something that I have learnt to appreciate ever since I hit my mid 20s, and if you have been following up on our Instagram Page, you would know that I have giving a good go at The Face Shop's Yehwadam Revitalizing line that recently came into The Face Shop stores. 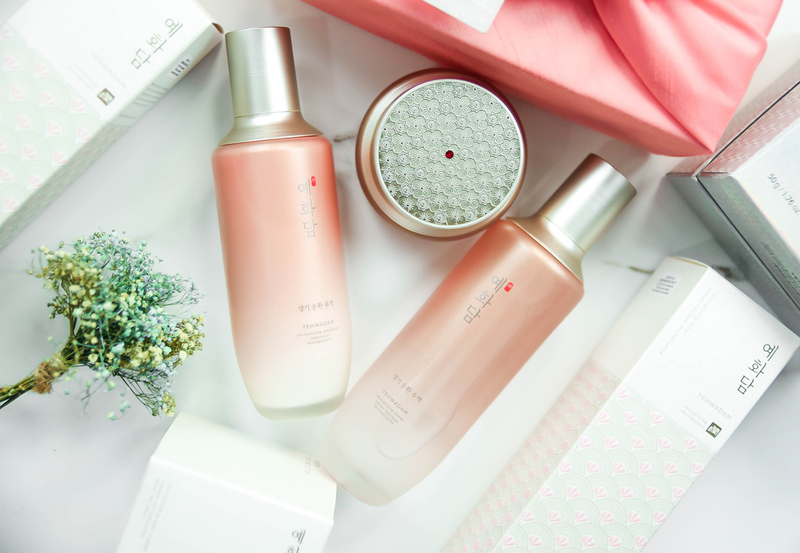 So the unique meaning behind the name Yehwadam is all about the experience of using herbs and plant extracts, and like all Korean skincare that is all about implementing these aspects into their skincare routine, this range is mainly targeted to those who are in their 20s to 30s who would like to combat anti-aging at an early stage. Korean Ginseng from Gyeongbuk Province : Healing Properties for youthful & radiant skin. Safflower from Jiri Mountain: Medicinal Properties to improve skin-tone and complexion. Goji Berry from Chungnam Province: Rich Anti-oxidants to maintaining skin radiance. Hence with regards to the routine, the first thing that was used was the Yehwadam Revitalizing Toner. 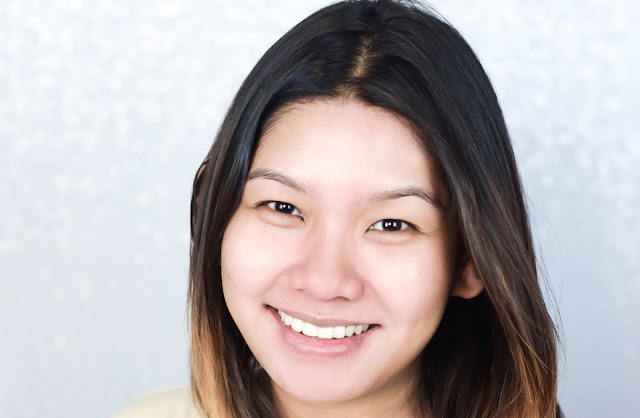 Now usually I am not much for toners per-se because some of them can make the skin really dry, but with this particular one, I found that its watery consistency balanced my skin's moisture to a T, and had a very refreshing scent to it which I took a liking to. 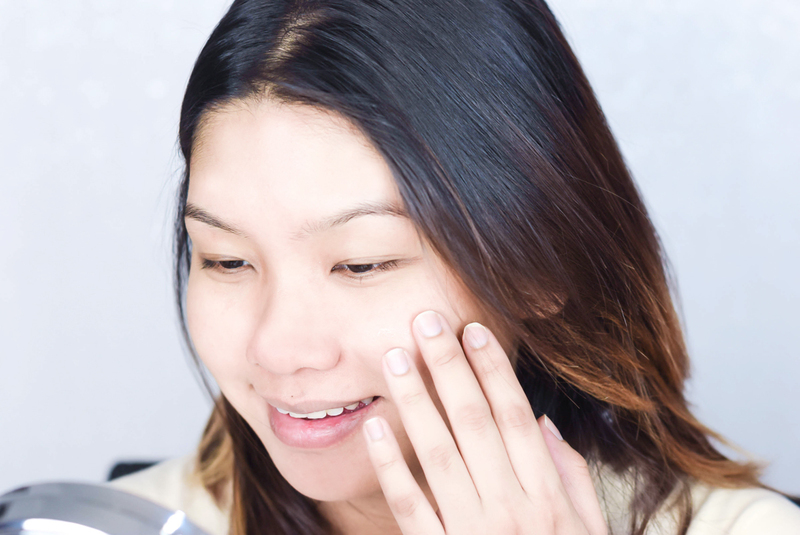 Best applied with a facial pad, use your nose bridge as a focal point and swipe upwards in a lifting motion. The next one here is called the Yehwadam Revitalizing Serum and is one of my absolute favorites from the line. I seem to be in midst of going through a lot of serums at the moment, but this one in particular seems to be my recent go to, as it is enriched with all of the 3 main ingredients (as mentioned above) and it really helps in restoring nourishment and rejuvenating the skin to its former glory while providing anti-aging benefits at the same time. 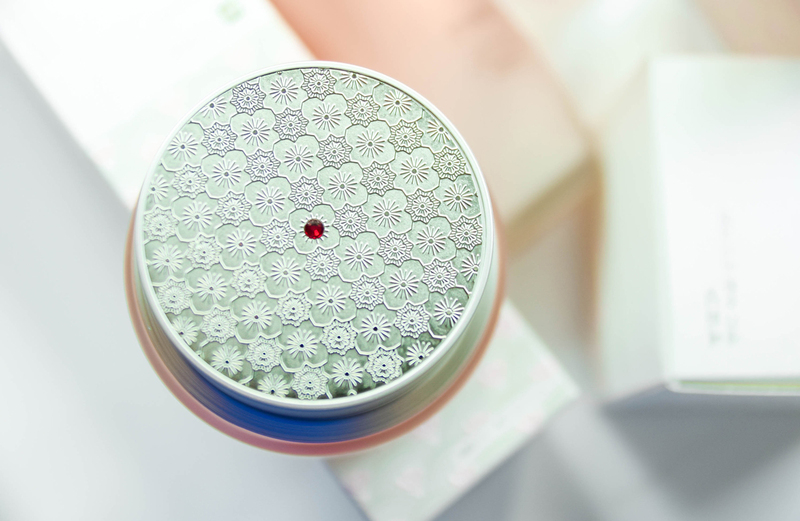 You can also see a decrease in skin redness and irritably whilst using this as well. 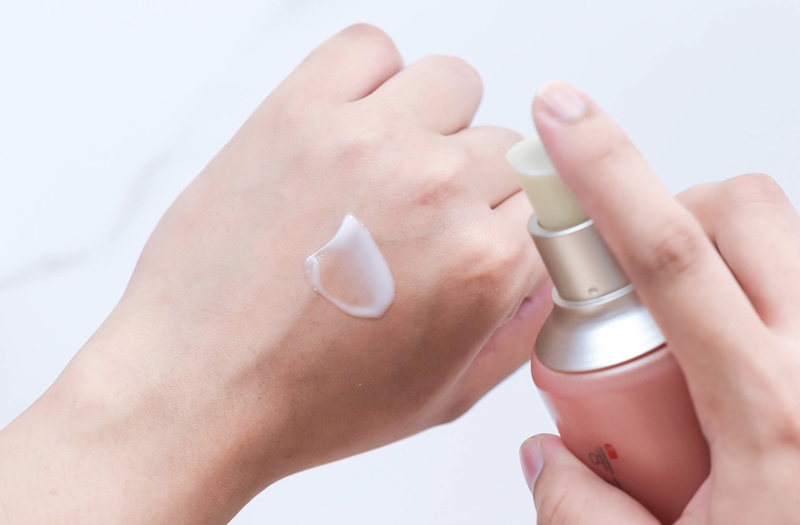 Now the formula of this product is quite thick so it might get some getting used to; but to apply, take a pea-size amount and gently massage it upwards. 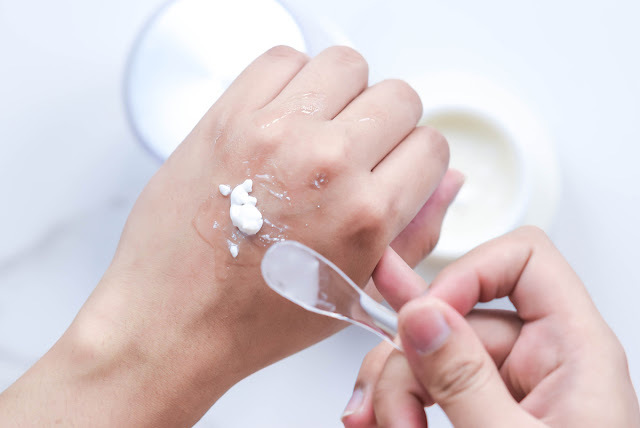 This would add on an extra layer to protect the skin throughout the day, and would assist other products that come after it tremendously, in terms of penetration and absorption too. On the other hand, this next one up might intrigue many of you, so if you are looking for something that is really luxurious that targets anti-wrinkle and brightening at the same time, then the Yehwadam Snow Lotus Brightening Pearl Capsule is perfect for you. 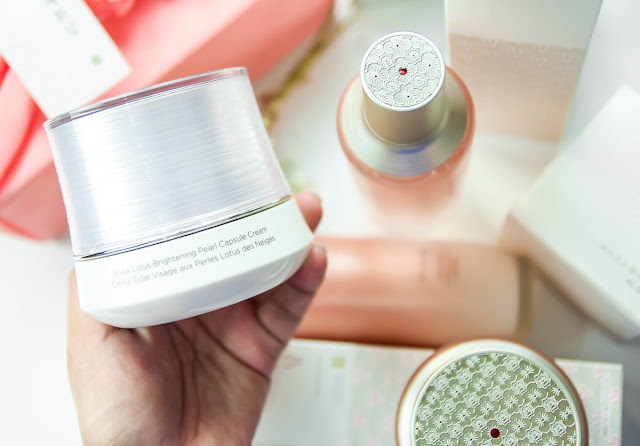 What is interesting about this product is that it comes in a glazed creamy formula that has little round pearls capsules within, and while that is certainly exciting, the aspect of it having the Snow Lotus as one of its main ingredients also benefits its user in terms of improving elasticity and youthful looking skin. Other factors of course is that it is also known for its all rounded brightening and anti-aging effects as well. Scoop out a pearl to your palm and gently crush it. Once crushed, massage the formulation onto the skin and blend it well. The results create a brightening and sheer glow effect. 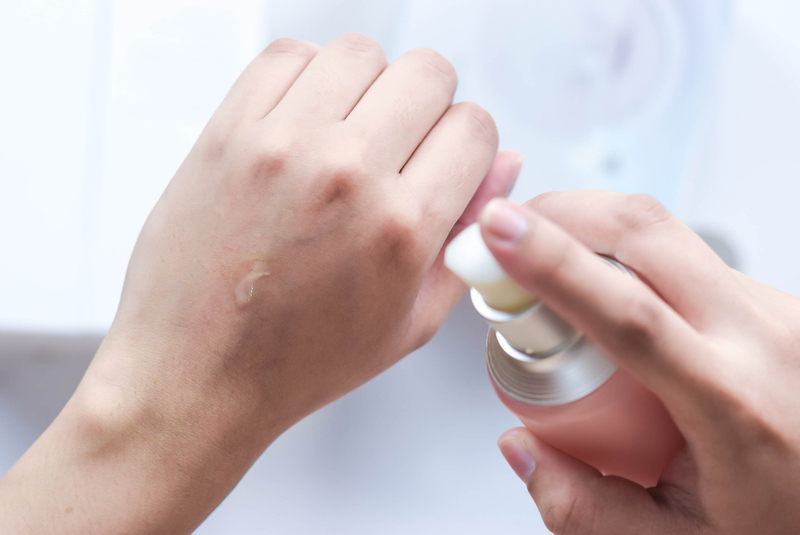 As for the emulsion part, I know that many of us tend of skip out on this area, but try not to do that too often as this one gives the skin plenty of nourishment and helps keep the rest of the products that was applied to the face in check. This one has a quick absorbing effect that is extremely lightweight to the skin too, so in terms of application, it goes on pretty seamless too. As for the last two on the list, let's check off the Revitalizing Eye Cream first. I used this about twice a week to help assist with the fine lines and puffiness under my eyes, but if I find that my eyes were in dire need of this and a little on the tired side, then I would up the usage to about 3 times a week. You would not need to use much on this as well because a small amount only would be needed (the consistency here is thick) but patting the formulation away under the eye is rather soothing, even though the absorption might not come as fast as the other products within the range. As for its results, the brightening effect certainly can be seen and if you use this product consistently, you will see slight improvement on your fine lines as well. 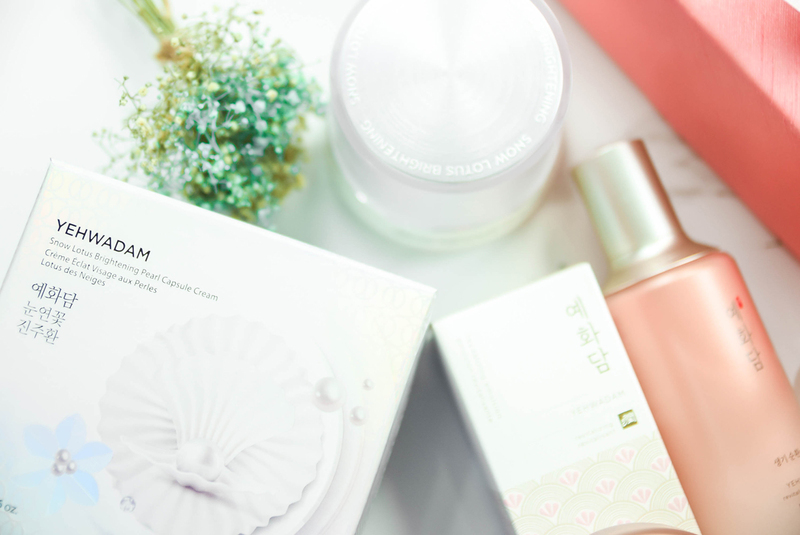 Last but certainly not least is the Yehwadam Revitalizing Cream that firms the skin up well and creates a good moisture barrier. This product is used to keep the skin's texture smooth and supple while providing a protective layer above the skin. In terms of usage, I would utilize this once a week (if you have really dry skin- switch it up to twice a week) so that at the end of the it, my skin would be replenished with all the moisture and nourishment that it would need. Now on overall, using this range religiously for the past couple of weeks has given my skin really great results, but seeing that I would need to implement these products in my previous routine as well, I am going to see how it fares when I pair them up with different products too. 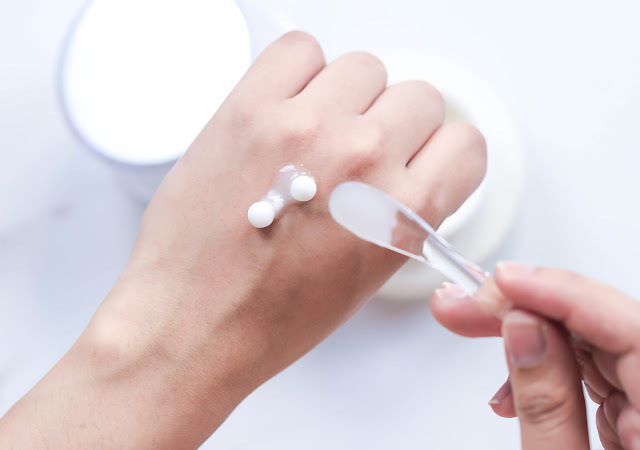 However I do think that if you would like to start combating your anti-aging routine early, then this would be a good range to start off with, but if you are looking for specifics, the one product I would really go for would be the Yehwadam Revitalizing Serum. The difference that this one serum made on my skin was rather significant and honestly when I am down to my last drop, I would head over to The Face Shop and make a repurchase. In the meantime, for further details on the products and more, you can head over to The Face Shop's Official Website and Facebook Page, but if you would like to stay updated on their feed and new launches, you can follow them on their Official Instagram Handle as well. The packaging are beautiful! What is the age range advisable to used this product btw? Because its time to change my skin care product soon. Wow~ I want to try this! 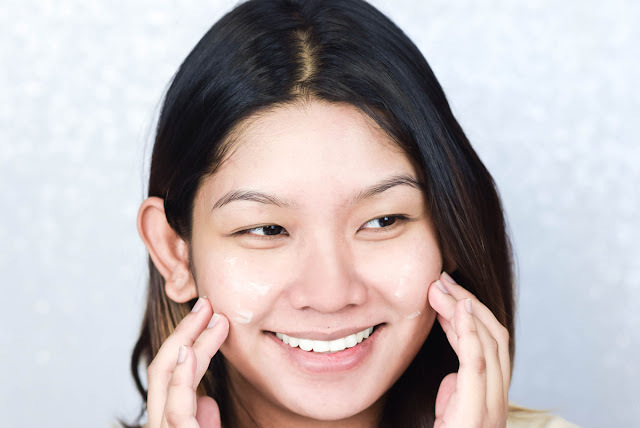 This skin care seem working well on your skin. The Face Shop is a really trusted brand. Coupled with your positive review, I don't mind giving this range a try. 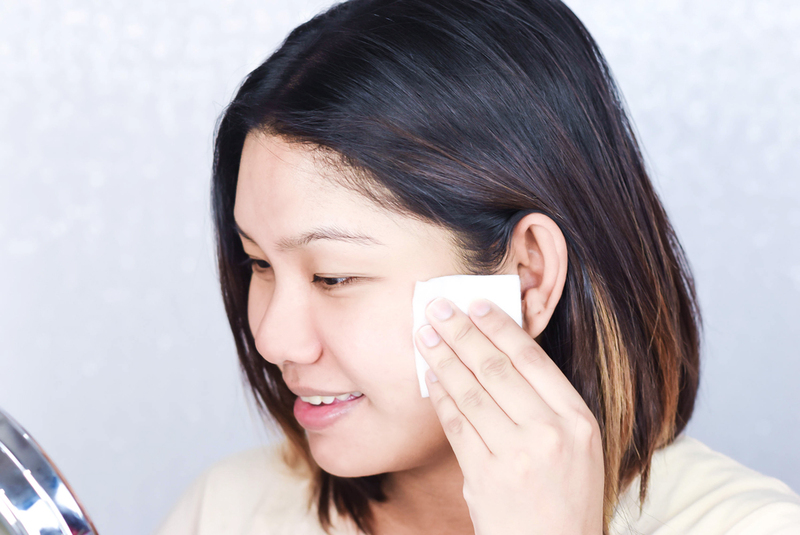 Indeed, we have to start taking care of our skin really early on. Owh. This is the first time I read about the product. And the packaging looks very exclusive and elit. Your skin looks radiant! I envy you lols. I should try these line for a better looking skin. Thanks for sharing dear.